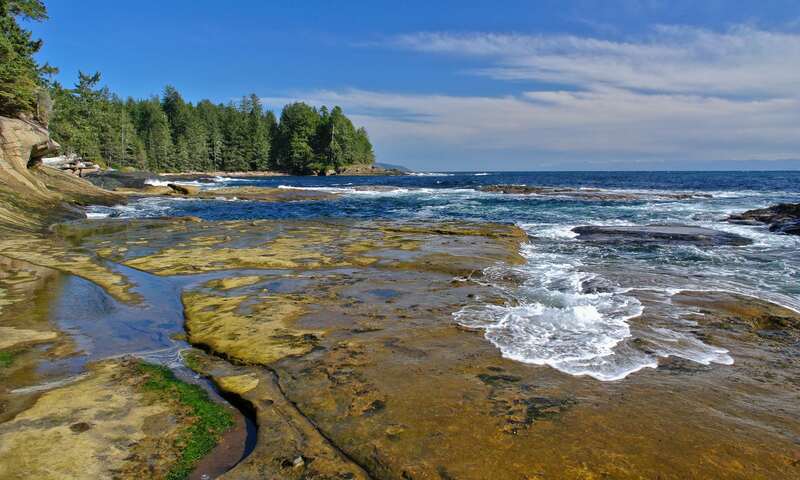 Home Weird	Why do human feet keep washing ashore in British Columbia? Since the first foot was discovered, theories about the feet have been numerous and creative. In 2008, a Toronto Stararticle said that “speculation ranges from natural disasters, such as the tsunami of 2004, to the work of drug dealers, serial killers and human traffickers”. In 2008, the man who found the fifth foot said he suspected foul play: “There’s someone doing this all right. Think about it, if they tied a chain around someone’s ankle and threw them overboard, the foot would just pop off. That could explain it. Maybe they got a lot of bodies stored up in a container and they got washed out. We don’t know. There’s a lot of stuff goes on over there,” he said. Authorities in Canada say a man walking a dog made this shocking discovery last week. This is simply a ridiculous explanation. Were it naturally resulting from decomposition in water, we’d have seen it long ages ago on many shores, and sailors would tell of it. Advanced shoes? Okay, newer shoes float better, sure. How do the feet come off? Why only the feet? Further, how did the ME or mere Coroner determine suicide or storm deaths? Just not buying this. It’s an anomaly and no one has a clue. They’re trying to normalize it, as they do.